I thought the whole "Lance Armstrong is a jerk" thing couldn't get any worse but it just did. Lance Armstrong crashed into two parked cars in December, but let his girlfriend take the fall in the interest of avoiding a scandal. The accident took place on Dec. 29, and his girlfriend Anna Hansen took full responsibility at the time, saying that she had been driving because Armstrong had been drinking. Later, on Dec. 31, she told police the truth. Those reports show that Hansen, who has been with Armstrong for six years, claimed to be the driver to keep Armstrong's name out of the press. She told police the decision was mutual. We've had our family name smeared over every paper in the world in the last couple of years and honestly, I've got teenagers, I just wanted to protect my family. I thought, Gosh, Anna Hansen hit some cars, it's not going to show up in the papers, but 'Lance Armstrong hit some cars,' it's going to be a national story. Now that the real story is out there, Armstrong faces penalties for not reporting the accident and for driving too fast for conditions. He could get up to 90 days in jail or a fine of up to $300. He'll appear in court on March 17 to determine his sentence. It's unclear what the true cause of the crash was. Although Hansen's original report says Armstrong had been drinking, it's not known if that was part of her lie or if he was actually intoxicated and driving. Tim Van Allen, who lived near the crash site, was mistaken by Hansen as the owner of the cars. He says Hansen told him, "I'm Anna, we're the Armstrongs, my husband's Lance, he was just driving maybe too fast around the corner or something." I certainly hope it was just a case of taking a corner too quickly, because, if Armstrong was drunk and driving irresponsibly, things would be even worse for him. But, as it stands now, he's still not looking so great. I understand where he and Hansen were coming from in having her take the blame, but I also think the best way to improve your standing with the public is to be totally honest, no matter how bad things look at the time. 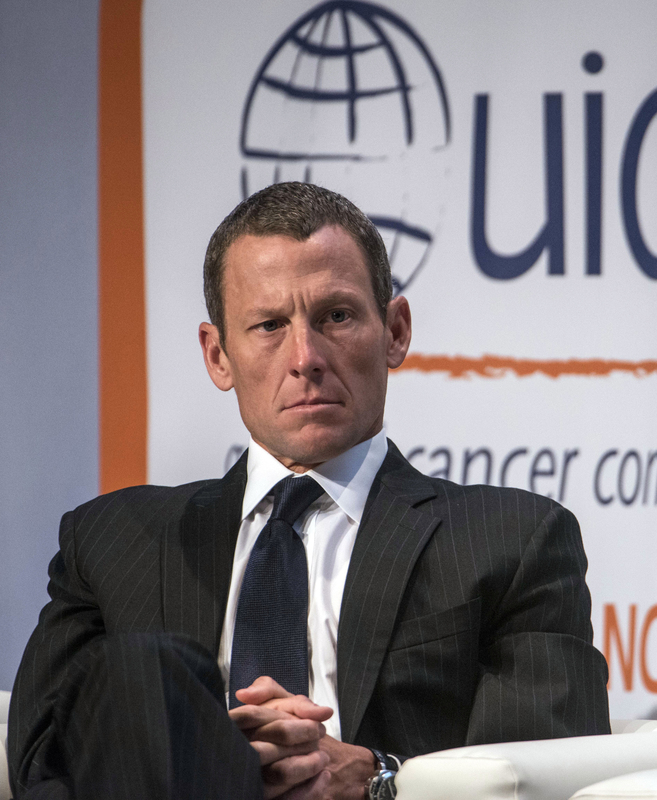 Since his doping scandal, Armstrong has been deemed untrustworthy and he just proved it once again. I'm consistently disappointed by this man who won't take responsibility for his own actions, and, at this point, it looks like he's never going to change. In 2013, he told Oprah, "I will spend the rest of my life trying to earn back trust and apologize to people," but this doesn't seem the best way to do that. He can't redeem his public image if he continues to lie and have others take the fall for his own actions.